A MasterMind GT10 Controlled, Ableton Sequenced, 8x8 Matrix System built for Annie Clark - St. Vincent. 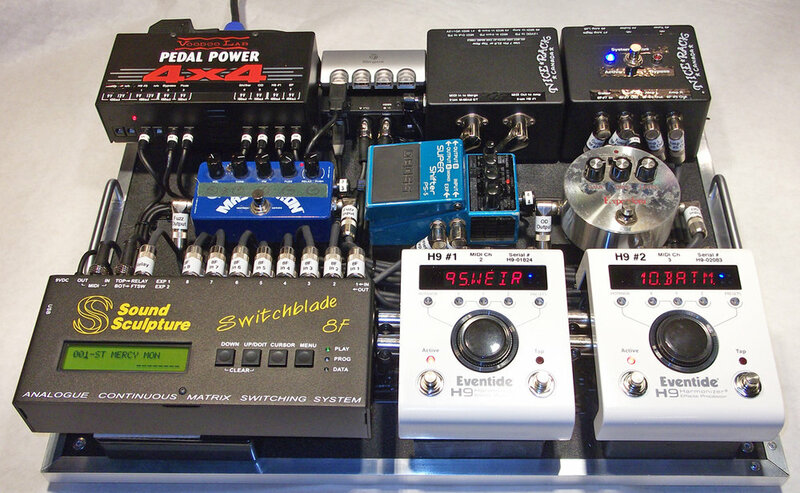 A 2 pedalboard system to serve the aesthetic & logistic needs of a touring musician. Each half of the rig travels in a Pelican case under checked weight cut off to facilitate greater net revenue from touring. 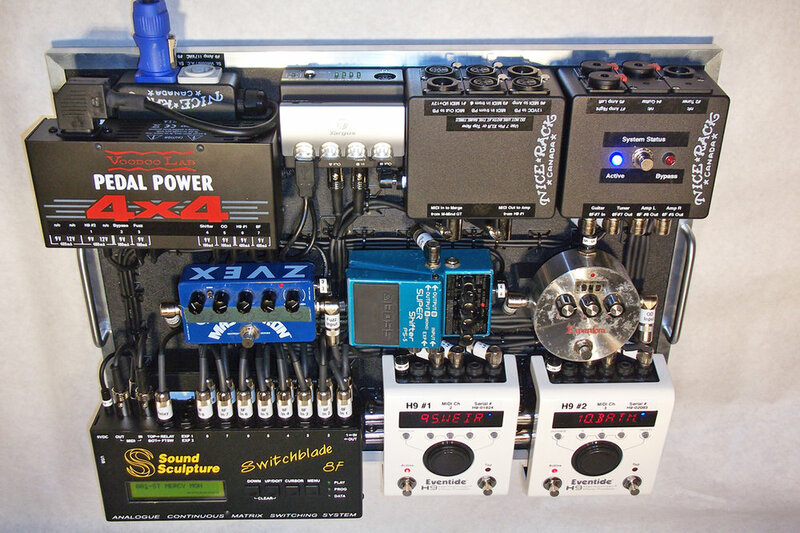 With the entire audio path responding to MIDI commands the "Signal" board lives offstage with the guitar technician & the controller board onstage at Annie's "home position". 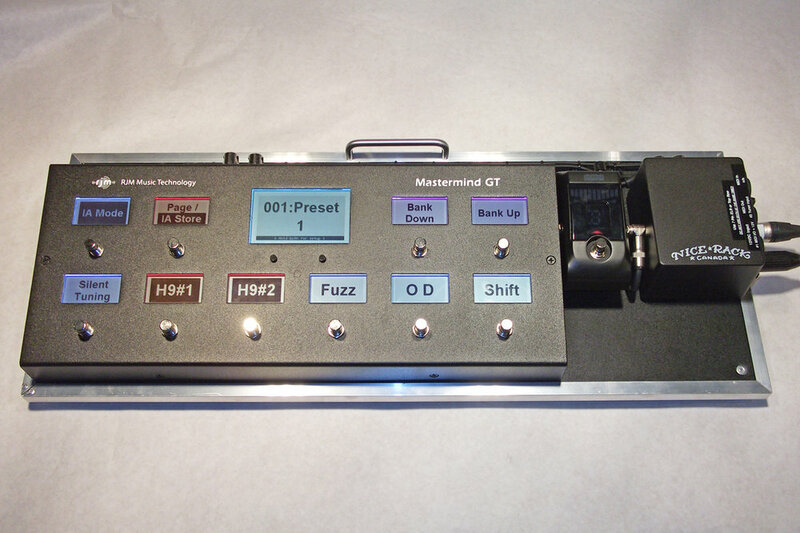 The RJM Music MasterMind GT-10 Controller is used in a "home page" fashion with one page of buttons assigned as presets with some audio functions revealed in "IA" mode. Each of the next 15 pages of buttons is assigned as Instant Access switches to provide quick access to routings in the Audio Matrix & favourite presets in the 2x H9's. The SoundSculpture 8F 8x8 Audio Matrix gives this sonic palette the ultimate in creative flexibility. 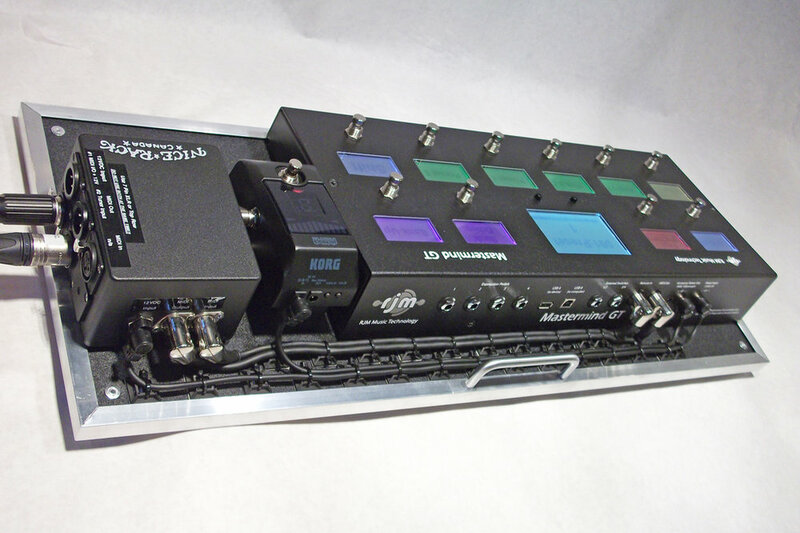 The 8F can store 120 different audio routings in it's local memory. The Eventide H9's are essentially "hosts" for 100x Eventide studio quality effect algorithms allowing the user to add & subtract effect types as needed. 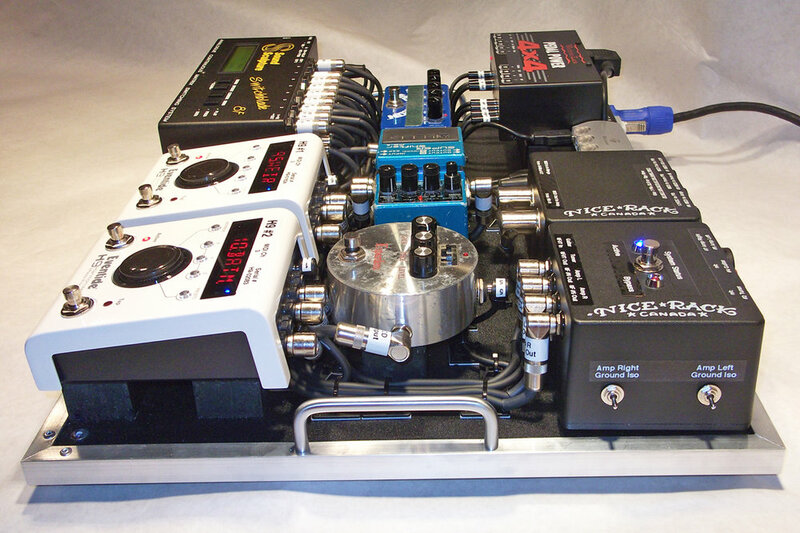 With dynamic routings & effects hosts, the rig presents the user with infinite possibilities for tone shaping. Powered by VoodooLabs Pedal Power 4x4.